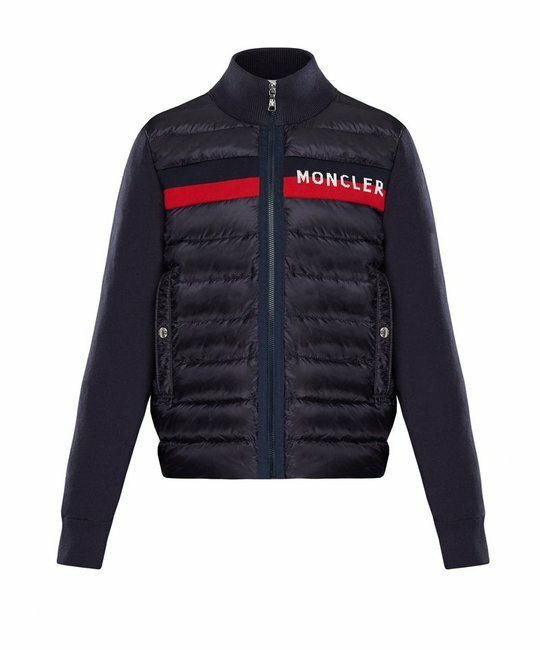 Moncler navy soft cotton down padded sweater with red trim and branded detailing. 100% Polyamide outer, 100% Cotton inner. Imported.